Who doesn’t love a good piece of bread? Let’s be honest — just about everyone who loves food will do anything for a fresh, soft, tasty loaf that is deliciously handmade. But the bread has to be seriously good, right? Not to worry — that’s exactly what you get from the baking crew at Farrell Bread. If you’ve never been inside Farrell Bread or haven’t been in lately, now’s a great time to visit. You can see for yourself the new, bright space and enjoy delicious breads renowned around town for their taste and their quality ingredients, great flours without fillers, additives or preservatives. The bakery makes sourdough, rye, braided challah, and uses the same dough for burger buns. They also make baguettes, focaccia, raisin bread, pizza dough, whole wheat levain and other delicious loaves. Who doesn’t love a good piece of bread? Let’s be honest — just about everyone who loves food will do anything for a fresh, soft, tasty loaf that is deliciously handmade. But the bread has to be seriously good, right? Not to worry — that’s exactly what you get from the baking crew at Farrell Bread. 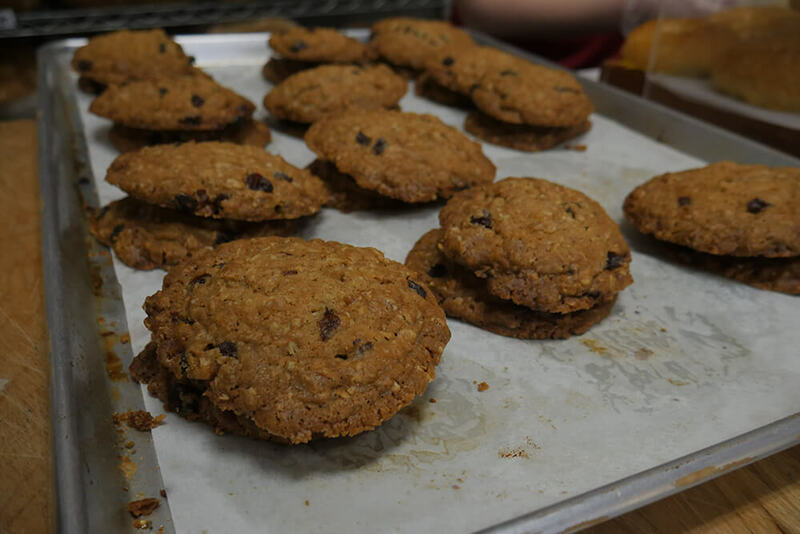 The bakery, which is located at 81st Street and Yale Avenue, has been a Tulsa staple for years. And recently, chef Justin Thompson of the JTR Group of restaurants (PRHYME, Juniper, Tavolo, MixCo, 624 Catering) came on board behind the scenes to help with the business of persuading Tulsans to temporarily break their keto diet to enjoy some amazingly good, floury carbs. And let’s just make this one thing clear — Farrell Bread will continue to use the same recipes and serve the same loafs you’ve come to love. It’ll just be done with the style and service that the JTR Group of restaurants is known for — giving Tulsans who love bread the best of both worlds. Though he hadn’t been looking to invest in a bakery, Thompson decided to think about it. After some consideration, he decided to jump in. But that doesn’t mean changing the things about Farrell Bread that everyone loves. If you’ve been by the bakery recently, you’ve probably seen the results of the renovations they’ve been making. There is now an official area for the production side of the bakery, where the breads, cookies and pastries are made — featuring windows so customers can view the baking as it takes place. If you’ve never been inside Farrell Bread or haven’t been in lately, now’s a great time to visit. 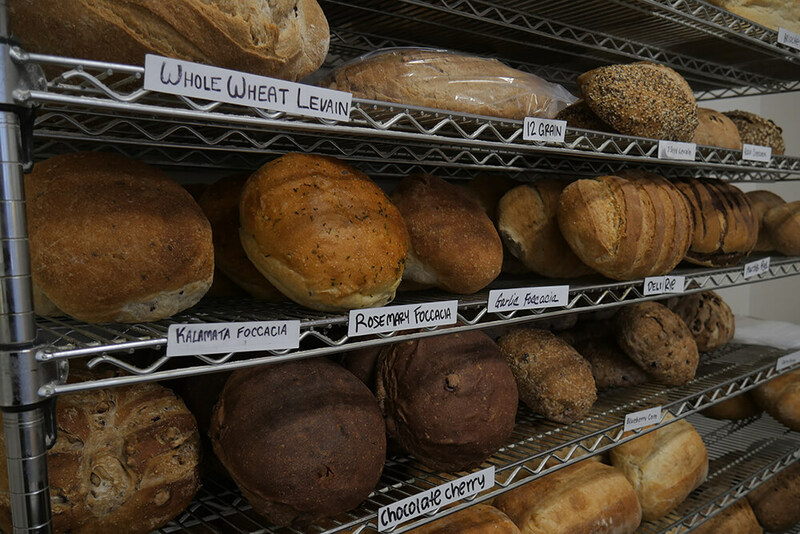 You can see for yourself the bright space and enjoy delicious breads renowned around town for their taste and their quality ingredients, great flours without fillers, additives or preservatives. Lots of flour, actually. 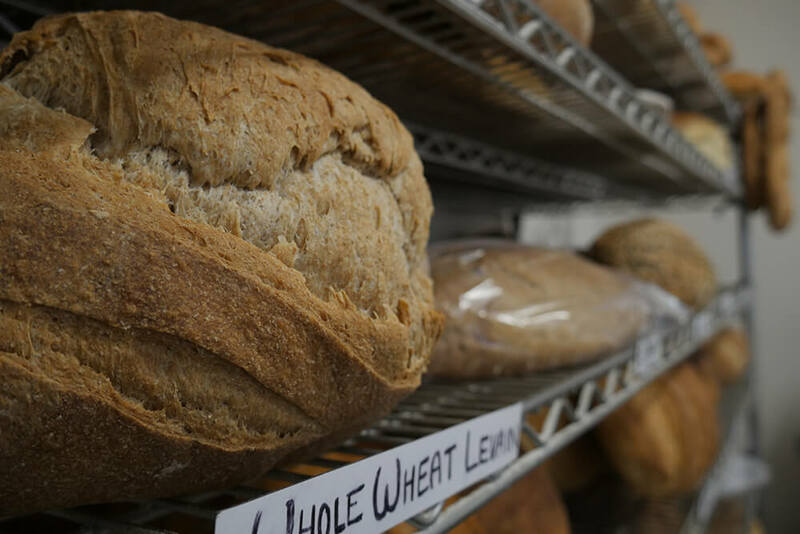 “We go through about 5,000 pounds of regular, unbleached, untreated flour a week, plus the other flours we bake with,” says bakery manager Rick Miller. What do they do with all that flour? They make bread Tulsans can’t resist. “I think our biggest seller is a Tuscan-inspired loaf,” says Miller. “The sourdough is really popular too. 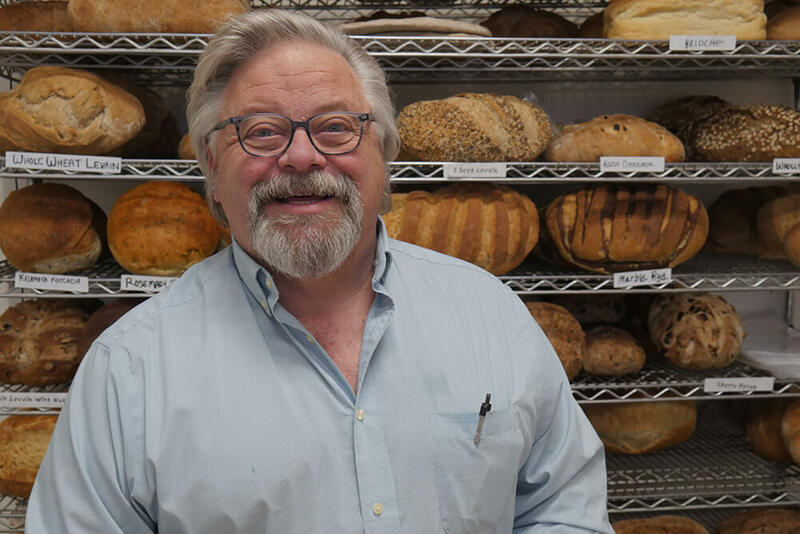 It’s the go-to bread for BLTs in the summer and grilled cheese in the winter.” And unlike many sourdoughs, Farrell Bread makes theirs as naturally as possible. 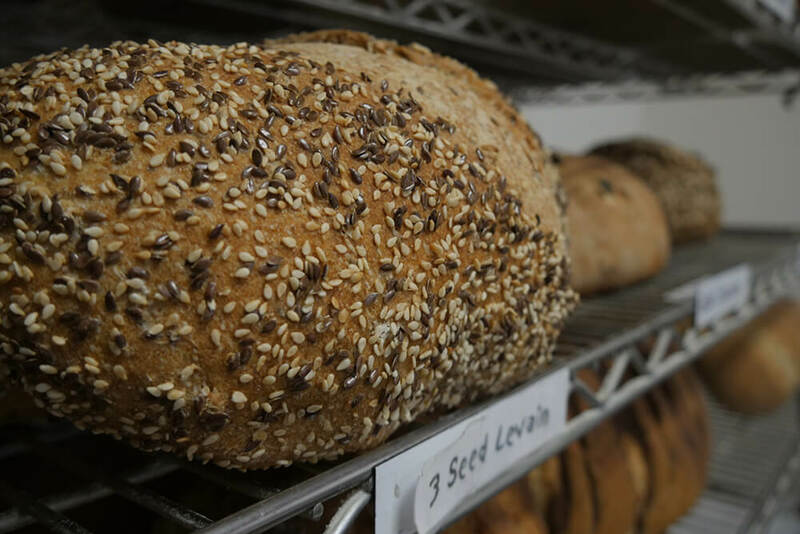 In addition, Farrell Bread is well-known around the area for its rye bread options — which come sometimes with caraway seeds and sometimes seed-free. They also make a pumpernickel and a marble loaf. “We sell a lot of them to restaurants, but we always have some to sell over the counter,” says Miller. The bakery also offers some sweets daily, such as cookies and two types of pound cake — vanilla and lavender. And then there are specialty items available only on weekends — including croissants and various specialty breads and pastries. 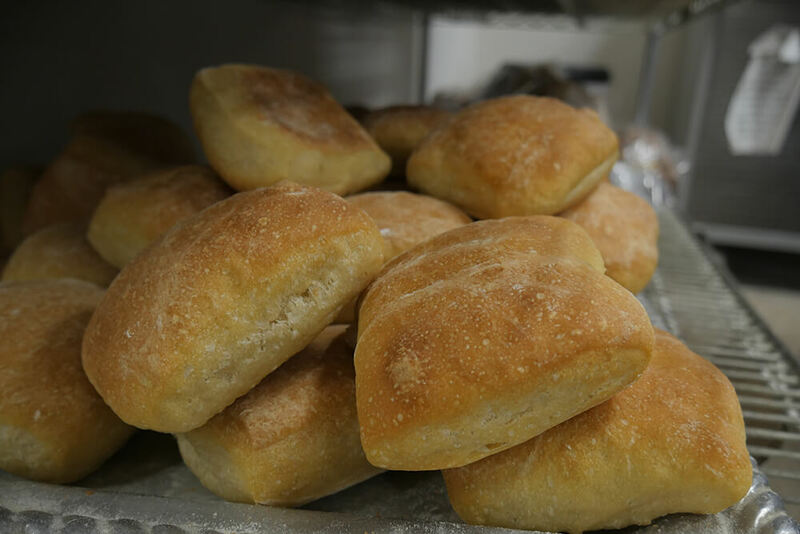 Bread lovers can find Farrell Bread in a variety of stores around the area, in addition to the bakery. 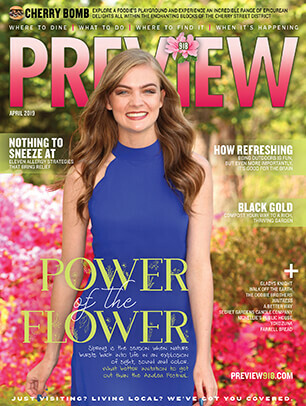 They’re available at multiple grocery stores, coffee shops and retail stores throughout Oklahoma. In the Tulsa area, this includes Reasor’s grocery stores, Whole Foods, Akin’s and Sprouts, as well as at restaurants such as McGill’s, Margret’s, The Bistro, The Vault, PRHYME, and Juniper.